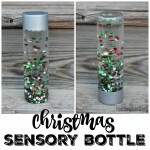 Have you heard of sensory bottles? 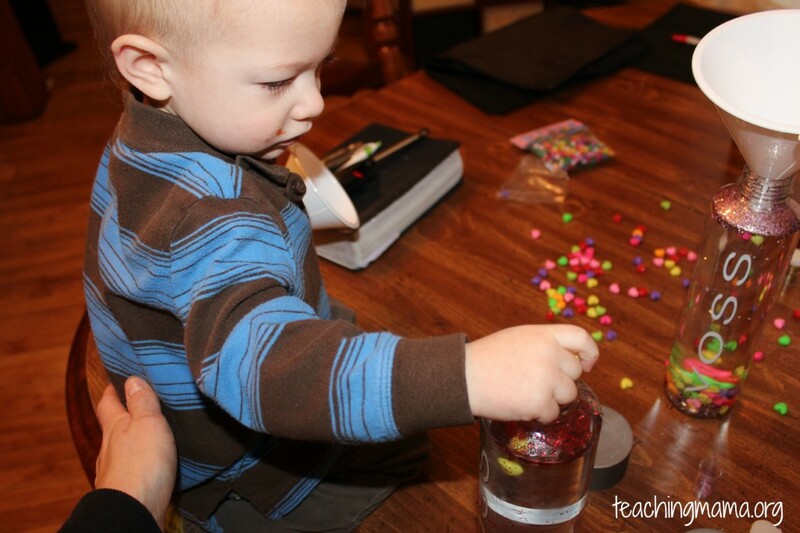 I hadn’t heard of them until I stumbled upon For the Love of Learning blog. 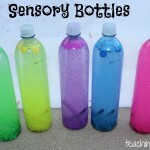 Deborah has some neat ideas for little ones, including an array of sensory bottles. You should check out her blog! 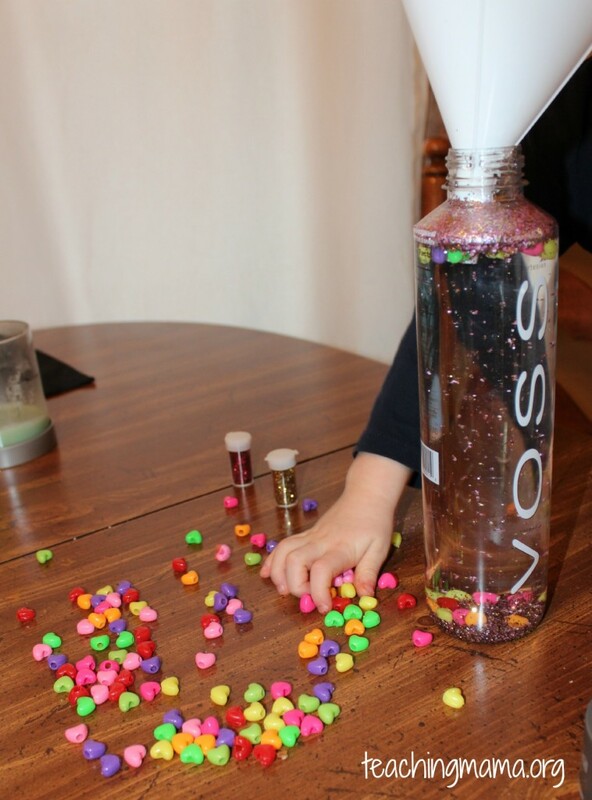 First, we dumped glitter in the bottles. Then we added the beads. Very simple! 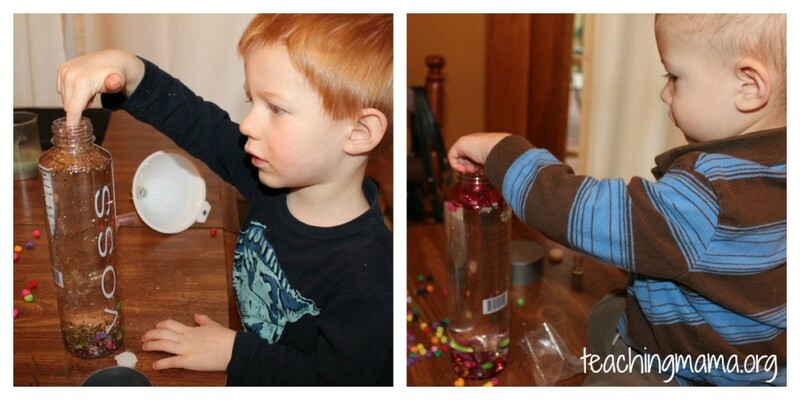 Troy used a funnel to put the supplies in. Wes thought it would be fun to climb on the table…I’m sure no one else lets their child do this…right?! Gotta shake the bottle up real good! You can hot glue or super glue the lid if you’d like to. This was a fun activity! Thank you Deborah for the inspiration!! 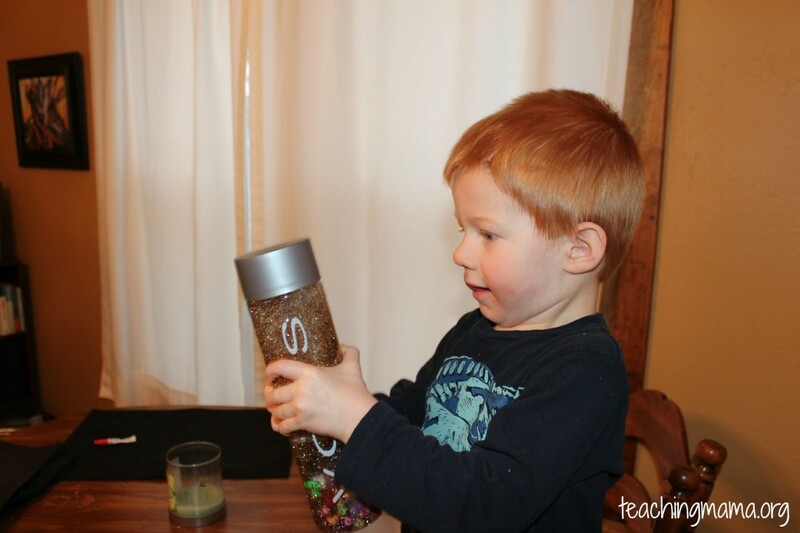 What I loved about the sensory bottle was that Troy and Wes were discovering on their own. 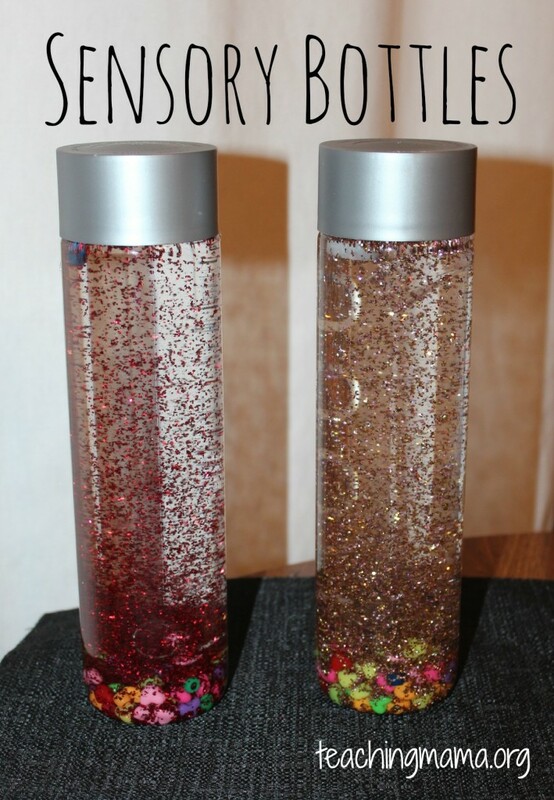 They were finding out how glitter felt, seeing how long it took for the bead to drop to the bottom, seeing if a few other objects they randomly put in would float or sink, and had fun rolling it and shaking it. 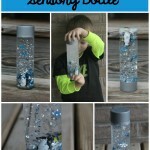 We will be trying this out again with different materials soon! 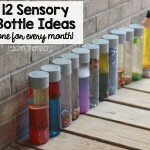 12 Sensory Bottle Ideas – One for Every Month! 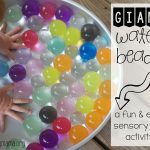 Giant Water Beads – Amazing Sensory Activity! Thank you so much! Yes, I’m so glad I learned from your site as well. The kids had fun making them, too! Blessings to you! A retired teacher. Trying now to pass good ideas on to my great-grands. Love this idea. 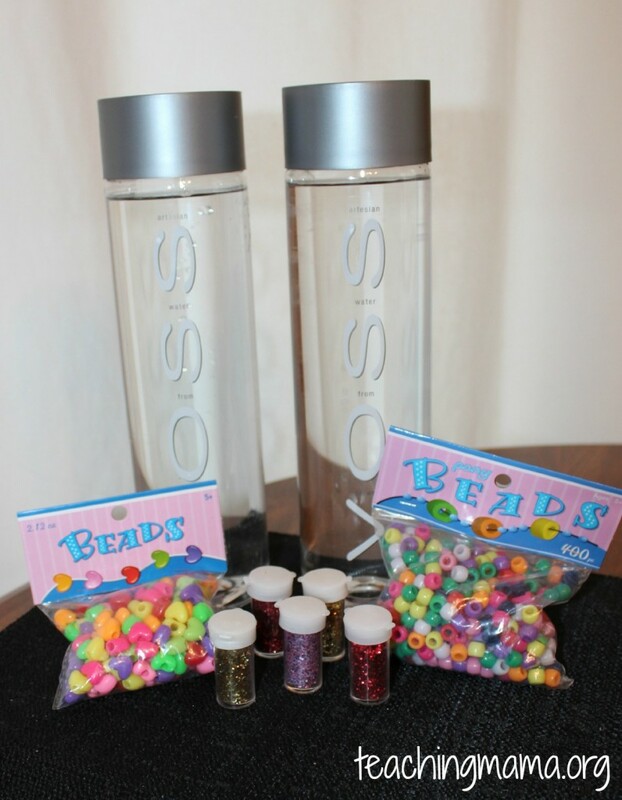 Have you tried these with say mineral oil to create a slower movement of the beads and oht er heavier items in the bottle? 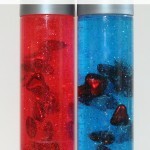 also if you add color add just 1 – 2 drops of food color. Any more and it gets too dark to see the objects inside. My Elementary Resource students loved to play with these when their work was finished! I might try making some with small objects that represent each students’ interests/ favorite things. Thanks for the great ideas! Baby oil is great as well and it does not turn yellowish with time.